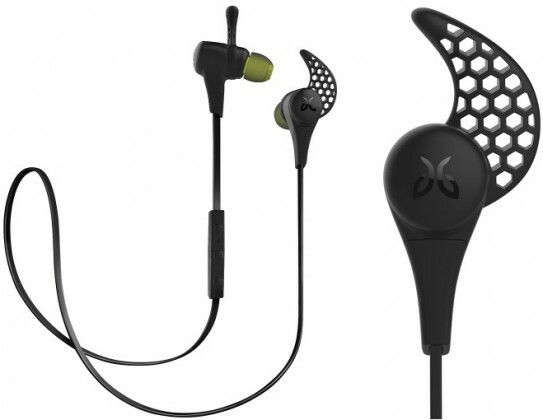 If you want a great pair of in-ear headphones that are designed for exercise in every way but aren’t super-expensive, we’ve got good news – a price drop in the Jaybird X2 makes this model more affordable than ever before (take a look for the right color to find the best price, black is currently the cheapest). These top wireless headphones provide 8 hours of music, enough for even the most ambitious workout schedules, and come with plenty of workout-ready features like over/under ear fit options and a lifetime sweat-proof warranty. The foam ear tips are also a step above the usual silicone tips that most earphones come with. However, make sure that Bluetooth headphones are what you want before you buy, because going wireless isn’t always the best idea for some workouts. Most of the time, however, it’s a big improvement that you will immediately appreciate. 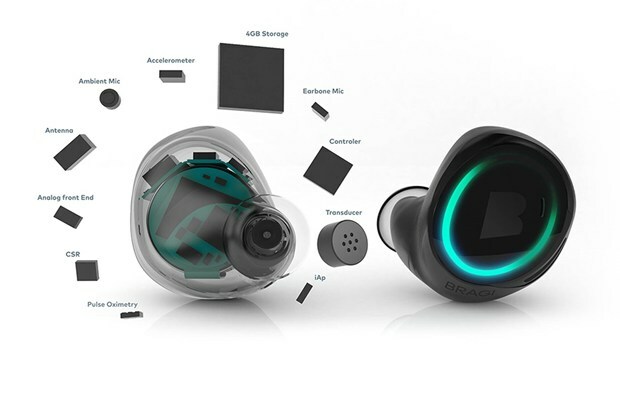 If you really want the cutting edge technology for wireless, app-controlled exercise headphones, take a look at the powerful little Bragi Dash earphones. These are totally wireless headphones with no wires at all – and they also include a variety of sensors to detect heart rate, steps, duration, and biometric tracking for form. If you are serious about training, this could be the perfect tech companion (especially if you don’t like wearing fitness wearables or t-shirts that perform similar duties…without the music). Power for these earphones last 3 hours per charge, with the ability to recharge up to 5 times with the battery pack/case. That’s actually some really great battery life compared to similar fully-wireless models, and should be enough for most workouts. However, we have to point out that you may want to try these headphones on if possible: Since they are fully wireless, it’s important to make sure they won’t fall out of your ears. 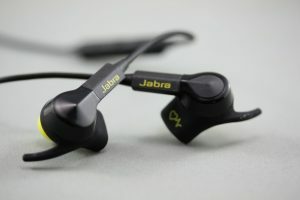 If the Bragi earphones were too expensive or too weird for you, this Jabra model provides an ideal mix between older and newer wireless technologies. There are still some wires here, but they allow for greater stability and some extra earphone support for your ears. Protections here include drop, strength, dirt, temperature, and humidity protection, so you can take them just about anywhere. There’s also a biometric heart monitor. For real training and performance training, a heart rate tracker is by far the most important feature of a wearable, so we give a lot of credit to Jabra for including this handy bonus. It works with most fitness apps across iOS and Android. When he isn't enjoying the beautiful Northwest outdoors, you can find Tyler on business and tech sites, writing about the latest news, analyzing trends, and generally making the Internet a more interesting place.